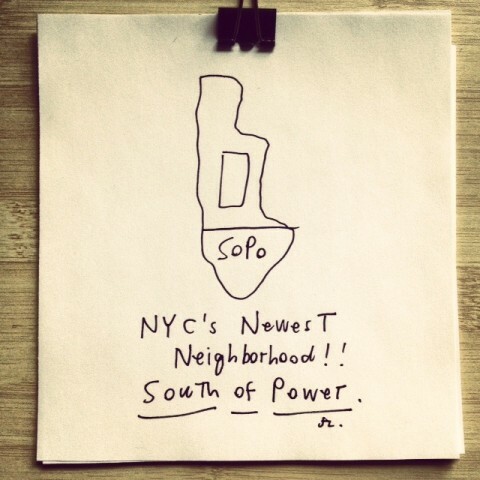 This illustration of New York’s newest neighborhood, SoPo, by Jake Levine made me chuckle. And then, my heart sinks at the thought that so many of my fellow New Yorker neighbors are still without power. I agree with Kelly, this is a little insensitive. Actually, it’s not the picture that isn’t funny or insensitive. I was in NYC when Sandy hit, staying in TriBeCa with some friends, with no power or running water. Lighten up guys, it’s a joke.